It's not Thanksgiving yet, but your craving for turkey is starting to rear its head. Buying a whole turkey is senseless – you're not feeding 17 hungry souls as you would during the holiday, so a turkey breast sounds like a good idea. Knowing that the breast is the one part of the turkey that dries out during the roasting process, you search for ways to make your breast tender, moist and satisfying while adhering to published turkey cooking times. The times differ according to your cooking method, the size of the breast, whether it's bone-in or boneless, and the type of oven you're using. Just keep a meat thermometer handy, and your craving will soon be on the table, cooked perfectly and ready for your knife and fork. A full bone-in turkey breast gives you enough protein to fuel you for a few days. Count the chairs at your table and buy a half-breast, around 3 pounds, if you're feeding two-to-four people, and a whole breast, about 7 pounds, to serve six-to-eight hungry diners. Yes, the bone adds to the weight and cost, but the flavor your turkey breast gets from the bone makes a world of difference in your meat. 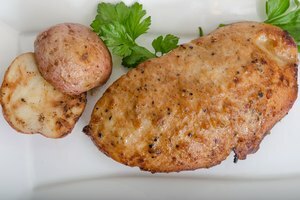 A boneless breast is easier to handle, but it tends to dry out if you don't time the cooking correctly. Even before you slap on the oil and seasonings, your turkey breast has to go through a few steps if you want the skin crispy and the meat tender. Place the bird in a roasting rack and then into a roasting pan – one with low sides is preferred. Pat the underside dry, and turn it over and do the same with the skin. Remove all the moisture. Put the turkey breast into the refrigerator for at least an hour. This dries the skin, leading to supreme crispiness. When it's ready for the oven, slip a few sprigs of sage underneath, brush oil on the skin and sprinkle your preferred seasonings onto it. There are as many suggested cooking temperatures for turkey breast as there are types of turkey. You can go low and slow and set the dial at 325 degrees Fahrenheit, or choose fast and furious with an oven temperature of 450F. Both have their benefits. Roasting at 325F means a lot of attention is paid to the breast as it cooks. Keeping moisture in is the goal, but you also want crispy skin. Adding broth to the roasting pan helps, as does putting a lid on the bird for the first part of the roasting process. Keep a poultry thermometer nearby and start taking the temperature after one hour. 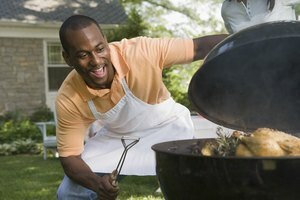 Your breast is done when the internal temperature reaches 160F. This should take about 2–2 1/2 hours. After removing it from the oven, let it rest for several minutes. It'll continue to cook, and the final temperature should read 165F. A 4–6 pound breast should take anywhere between 1 1/2 hours to 2 1/4 hours. A 6–8 pounder should take from 2 1/4 to 3 1/4 hours. 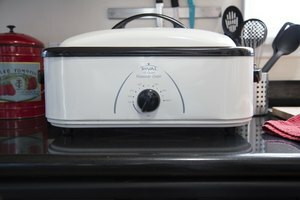 If you're using a convection oven, a 3-pound breast should take about 1 1/2–2 hours at 350F. Do not go by cooking times. Your thermometer will give you an accurate time to take the bird out of the oven. 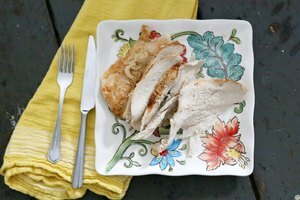 A spatchcocked turkey breast, one that has been flattened but kept whole prior to cooking, is the best way to get tender, moist turkey breast. With the base of your hand, smash down on the breast to crack the breastbone. The air pocket below the breast is removed, and your entire breast becomes level with the roasting pan. 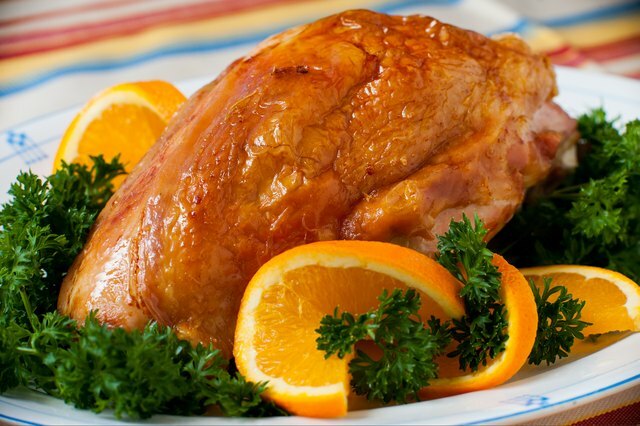 Heat the oven to 450F, and after dressing your turkey with seasonings and oil, place it in the oven for 45 minutes. Start taking the temperature and remove it when the thermometer reads 160F. The skin is crisp, the meat is moist, and you've not wasted a day watching it roast. A boneless breast is more likely to cook quickly than its bone-in counterpart. Prepare the breast as you would a bone-in version, but keep the thermometer handy. After 45 minutes, check the temperature frequently. Baste when necessary. Leftovers are one of the benefits of making a turkey! Saute the slices for a few minutes in turkey or chicken broth to keep the meat moist, or sprinkle the meat-on-the-bone turkey with the broth, wrap it in foil, and heat in a 350F oven for a half-hour.